Hurricane Sandy left behind a massive amount of damage, with neighborhoods flooding as never seen before. 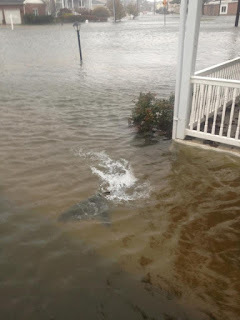 Something else that’s never been seen before: A shark swimming around the front yard in a flooded neighborhood. It allegedly happened in Brigantine, N.J., where Kevin McCarty shot off some photos of a shark swimming near his flooded house and posted them on Facebook. They’ve been going viral ever since. 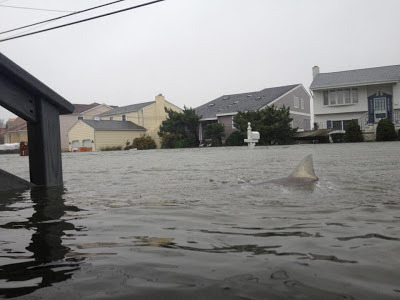 With the ocean so close and the amount of flooding from Hurricane Sandy, there is reason to believe that McCarty didn’t Photoshop the shark into the photos, though some are skeptical and The Atlantic set out to prove those skeptics correct, if Snopes is to be believed. “This photo is real,” McCarty asserted about the above shark photo on his Facebook page. We sure would like to believe him, but Photoshop really can do marvelous things like making fake images of sharks where they aren't supposed to be. Like swimming in a yard. 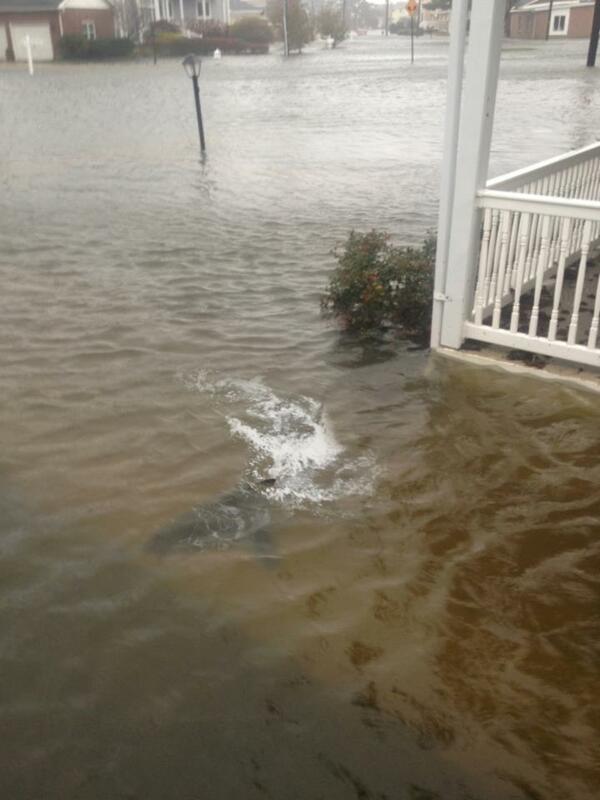 Now, the video below, taken of a “shark” on a New York street during the surge from Hurricane Sandy? Uh, yeah, that’s also a fake. You know, it very well could’ve been just that. Still, when you look at it, it would've been bad news for a lot of other people. Imagine going fly-fishing one day and then you accidentally caught a great white in in your favorite fishing spot.